Obtaining a divorce in New York is not free. However, the state legislature has recognized that a lack of financial resources should not prevent spouses from terminating a marriage. Individuals who cannot pay the necessary filing and other court fees may request a fee waiver from the court by filing the appropriate paperwork. 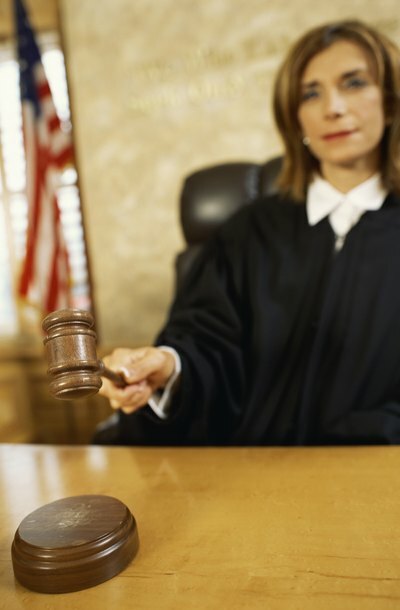 If the judge approves the application, some or all of your court costs may be avoided. However, copying fees and other trial preparation costs, including expert witnesses, may still be your responsibility. The process for obtaining a fee waiver for a divorce in New York starts with submitting a request to the court. This is usually done prior to filing any divorce paperwork; the request must include an Affidavit and proposed Poor Person Order. The affidavit is a sworn statement listing your income, property owned and persons you support. You must also attest to the court in the document that you do not currently have the necessary resources to pay the filing fee. The affidavit will be reviewed by the judge and used to approve or deny the proposed order. If you submit your fee waiver request before the divorce action is filed, there are no other parties to notify and service of process is not required at that time. However, if your fee waiver request is submitted after the initial divorce filing, you are required to serve your spouse and New York City Corporation Counsel’s office with the proposed order and affidavit. Once the affidavit and proposed order have been received by the court, a judge will consider all of the information your provided and determine whether you qualify for poor person status. The judge will then either approve or deny the proposed order, sign it, and indicate which fees you are not required to pay. This may include the costs of starting the action, known as a filing fee, costs associated with a jury demand, as well as the costs of appealing an unfavorable court ruling. It is important to note that while poor person status can exempt you from the payment of certain court costs and filing fees, you may be responsible for other expenses associated with finalizing a divorce. If you and your spouse disagree about one or more aspects of the divorce, a trial will be necessary and may lead to additional costs related to preparing for the hearing, such as costs associated with copying documents. Further, if expert witnesses are necessary, such as testimony from a therapist in a custody matter, you may be responsible for his or her travel costs and participation fee. New York State Unified Court System: How to Serve Legal Papers, p. 4.